I've rather enjoyed the show and I would have continued to watch it if it weren't cancelled. I find your analysis spot on: good resources, interesting concept, bad script. This. Unfortunately. It all started out so well. I watched the first 3 eps. First one was good, had a lot of promise. The next two were boring and crappy. Fleur was also developing nicely into an annoying Mary Sue. 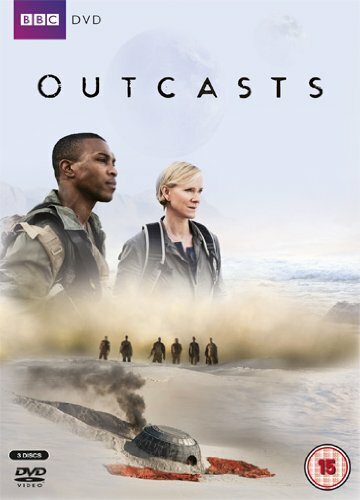 so, Outcasts is not BSG, but in my opinion, it's a pretty good tv show! From Episode 5 onwards the show became much better. But by then the decision had been made to cancel with the moving of the timeslot after ep4. Eric Mabius was fantastic in this megalomaniac bad guy role, he has a powerful screen presence. Horrible show. It was almost like they were trying to show what happens when the bad guys win- but didn't actually know that that's what they were doing.